Yep, you read the title correctly - I am creating an ART JOURNAL!! 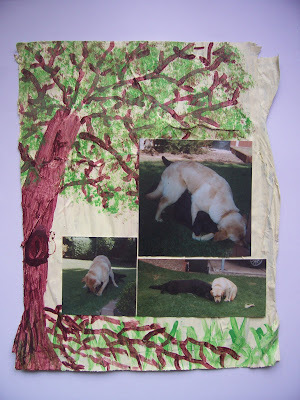 Basically I created each page using about 6 sheets of newspaper to whatever size I chose (or paper catalogues from Bunnings, Clive Peters, etc - we had no newspapers haha!). Paint the first sheet in PVA glue, then lay the 2nd sheet over the top, and repeat until the thickness is to what you are happy with. 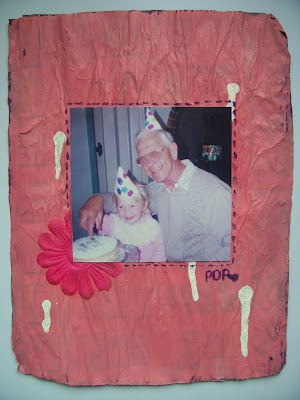 Paint, decorate, and adhere photos with PVA glue(acid free, of course!). 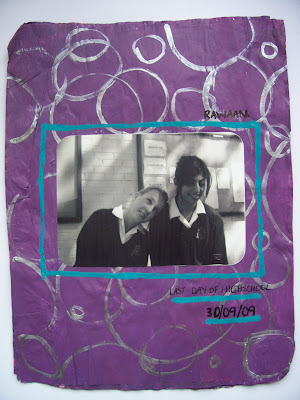 I hope you enjoy perusing the following images of my first few Art Journal pages - it's going to be a bit of a random journal, with photos from various years and events, etc. Found your blog through Ruby! 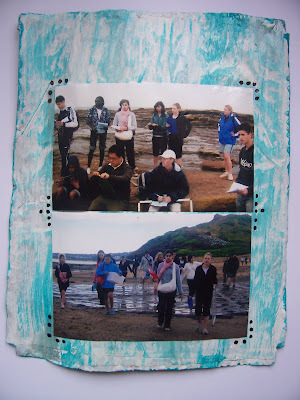 I love the way you've created your pages for your art journal. 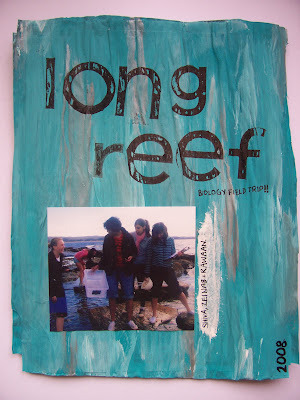 I love art journaling! You've done a great job so far, so don't give up! Will you be binding the pages later, or keep them loose in a box or something? Take it easy and Happy New Year! Ooohh i just LOVE your AJ pages Tegan! They're gorgeous!! Gesso is practically the same as white paint. seriously. it helps your paint not sink in to your page, it creates a layer that the paint will be able to really show up on. Honestly it isn't that noticable but I really like working with it. The artist' brand "Matisse' is probably the most expensive. For 500mL you are looking at $10-15. The cheapest I've seen it is at Spotlight..
Hope that helps! Seriously, you dont have to jump in and buy gesso straight away- white paint is just perfect. Let me know if you want some youtubers Art Journal Links. There are some awesome challenges and tutorials starting up atm!! Wow this looks like an amazing project. I love all the pages, but the reef ones are great!